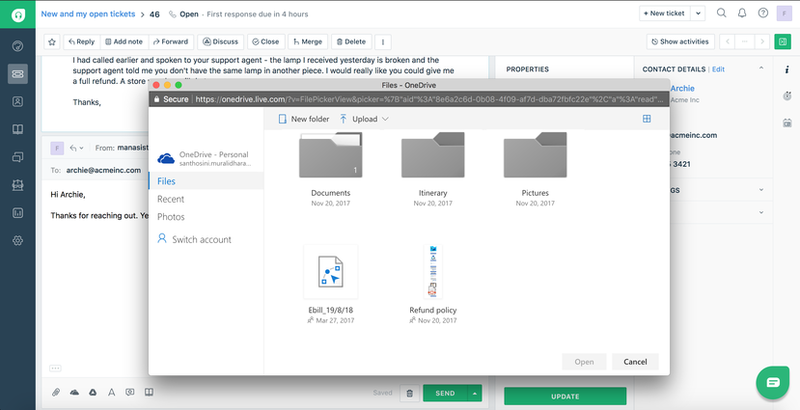 Get access to all your files and attachments from your OneDrive account inside your Freshdesk instance. 1. 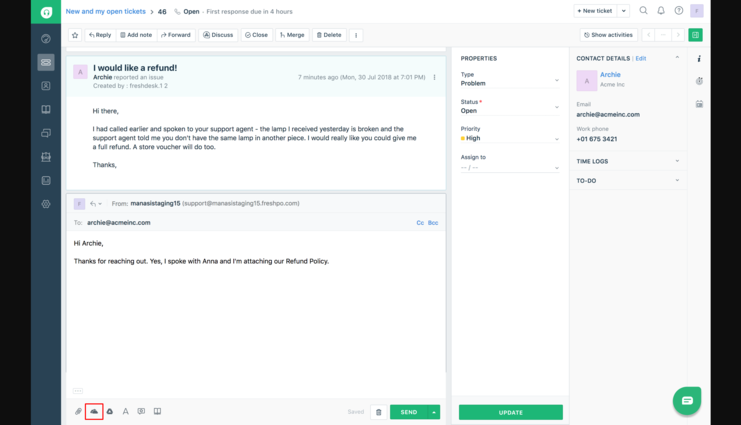 Agents can link their OneDrive accounts to their Freshdesk accounts and use OneDrive's features to share documents and resources with customers. 2. Attachments made from OneDrive aren't stored in Freshdesk. They are hot linked from the original source, thereby removing file size restrictions and file upload difficulties for users.